K&N Air Filter Oil is the only oil specially formulated to work in combination with the cotton fabric in K&N Filtercharger® elements providing a superior air filtration system. When used as directed, it quickly penetrates the filter pleats, where it remains suspended in the cotton fabric. Saturation is maintained until the element is cleaned with K&N Air Filter Cleaner. 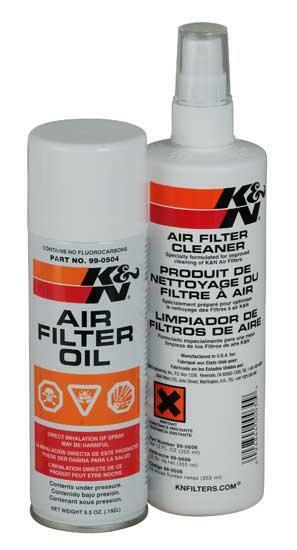 K&N Air Filter Cleaner is the only cleaner formulated to clean K&N Filtercharger elements. 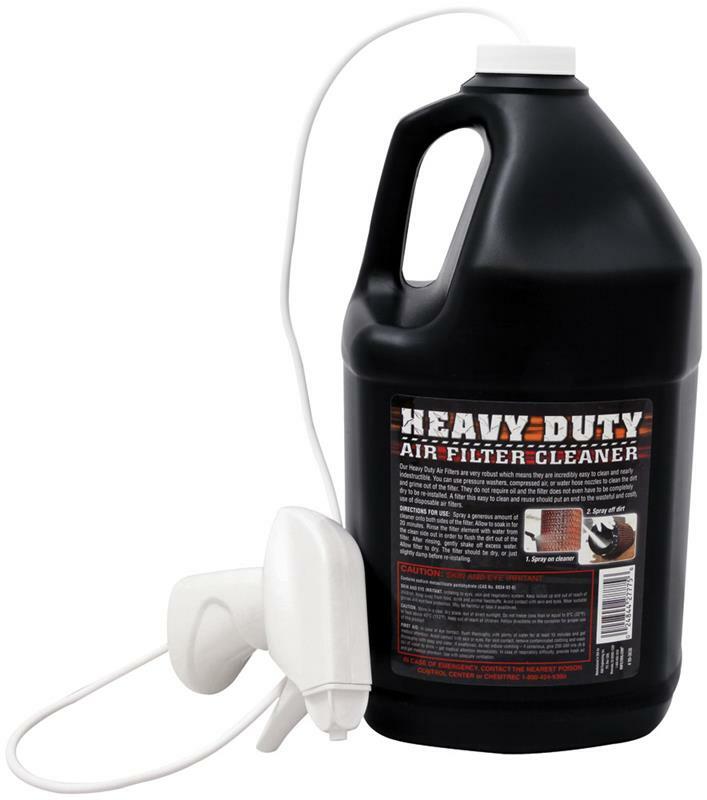 The use of any other cleaning solution can void the filter’s warranty, and quite possibly could damage the cotton material. K&N Cleaner works to dissolve the dirt build up and old filter oil, and can be washed away with water. Complete instructions on bottle. K&N Sealing Grease provides an airtight fit around sealing surfaces on all types of air filter elements. It resists heat and will not melt or run off. K&N sealing grease is not to be used on clamp-on filter elements.